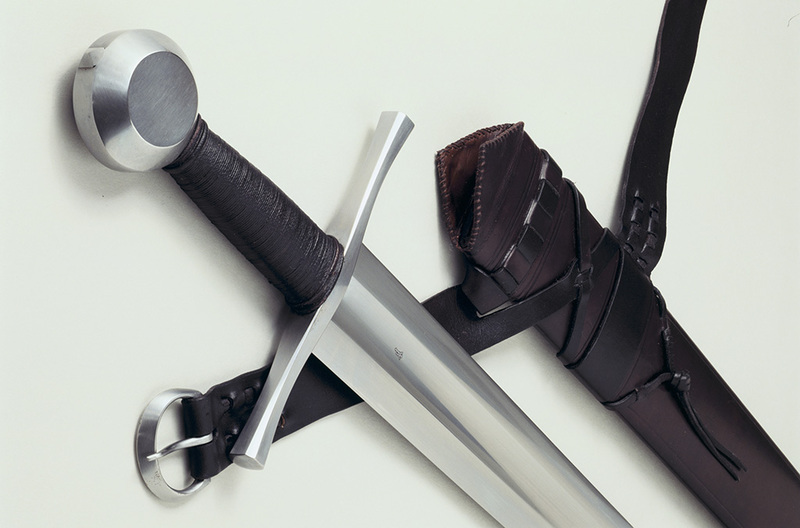 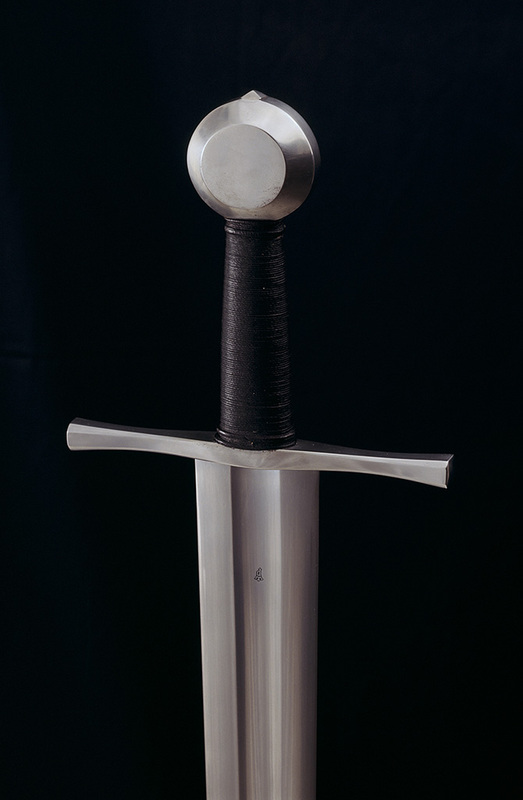 A knightly sword with an unusual combination of blade and hilt. 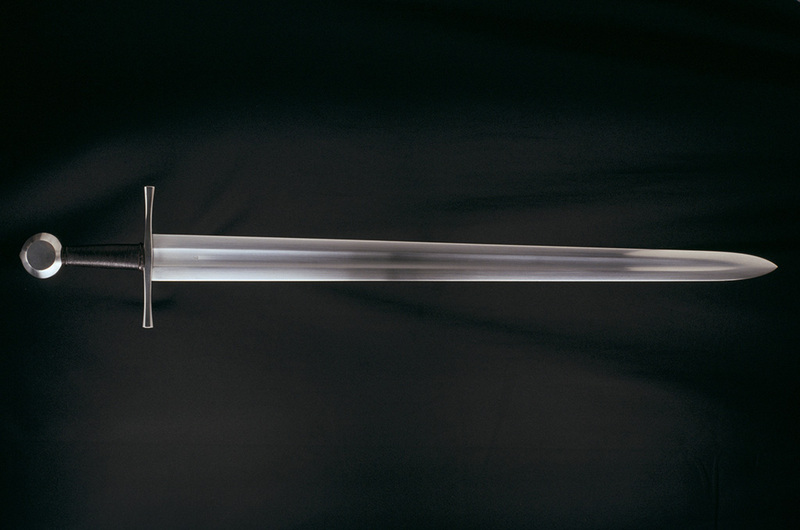 In general style it might be classified as a late 12th or 13th century sword, but its blade could have belonged to a sword from a bygone age. 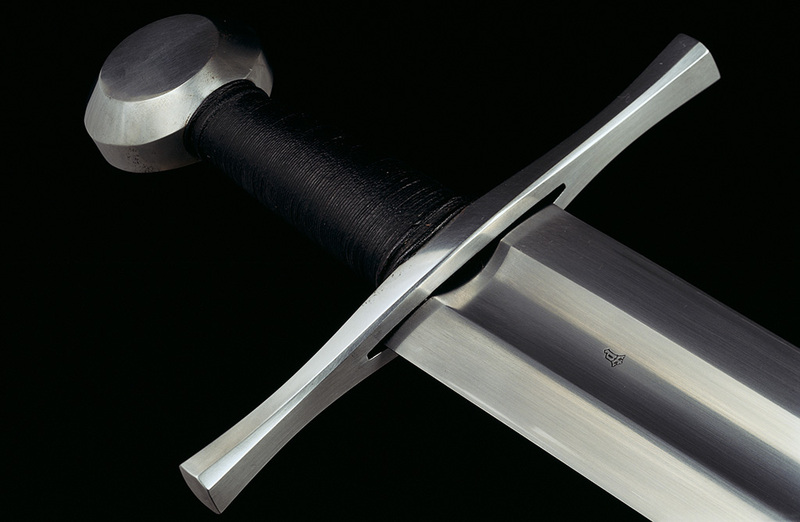 Oakeshott type X blades were typical for the viking period but did see some continued use into the high medieval period.